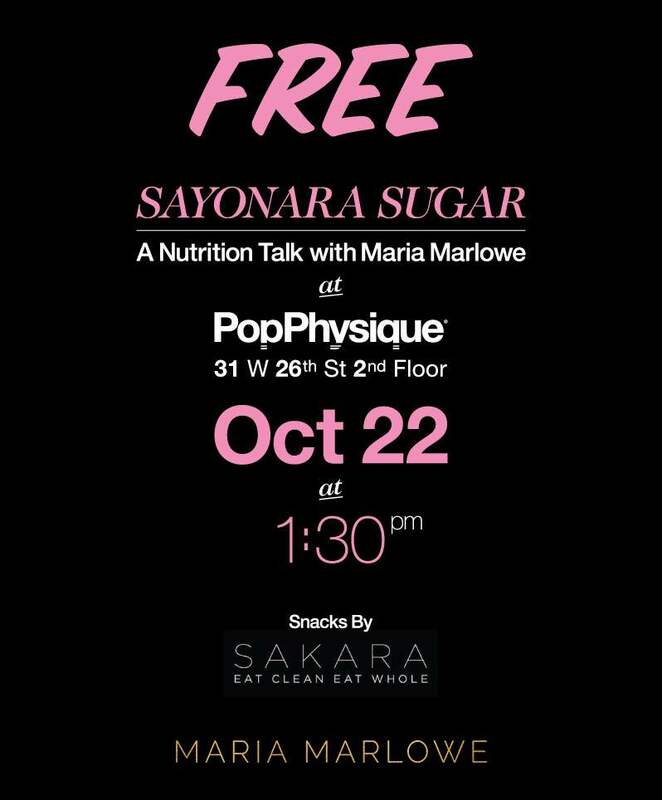 UPDATE: It was a blast hosting a Sayonara Sugar talk at Pop Physique in Chelsea this weekend. Here is a video recap. October 16: Join me this Saturday at Pop Physique Chelsea for a fun and informative talk about quitting sugar.